Everyone in LA has multiple hustles. Because it costs so much to survive? More likely because the energy, ethnic and cultural diversity, and (probably) the anonymity of the second largest city in the USA attracts ambitious creatives. 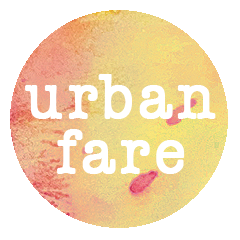 I routinely inform anyone who'll listen I have several hustles: I mainly hustle as a graphic artist-designer; theology's a not too far behind side hustle; I'd love to make my only very occasional music hustle more central. They're all freelance, so those hustles absolutely require my ongoing initiative and imagination—you can't expect gigs to fall out of the sky, though the best ones sometimes do. Crystal writes about getting laid off or fired a couple of times; like Crystal and many others, I've had my share of jobs not continuing, maybe most significantly when I was working in industry as a designer and then – due to crashes of overall economy and housing markets coupled with internet expansion to third world countries – along with several thousand other North American designers, I found myself pushed hard into far more freelancing than I'd anticipated. 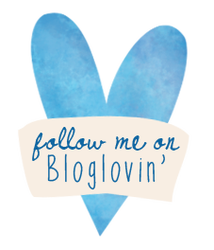 In turn that pushed me into hustling harder than I otherwise might have done. 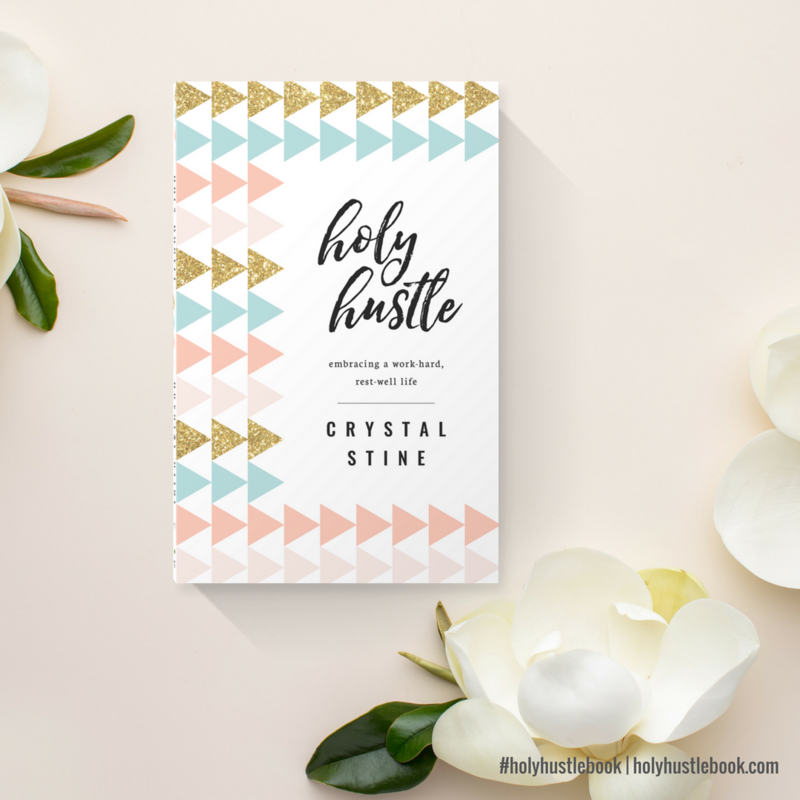 The estimated 30%-35% of North Americans of both genders who work at least part-time in the freelance economy would benefit from reading Holy Hustle, though when Crystal Stine assembled her launch team, she particularly wanted as many women as possible to know how possible it is to embrace (to hug!) "a work-hard, rest-well life." Nothing in her short, scripture-grounded, highly reflective book wouldn't equally apply to most guys, but from my own experience and from observing other women, it's clear we have a stronger, more persistent inclination or leaning toward believing we need to try as hard as possible, produce more than imaginable. 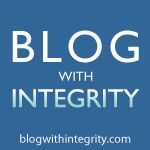 Maybe you've heard, "Women need to be twice as good at what they do in order to be considered half as good as men. Luckily, that is not difficult." To hustle means to work quickly and energetically—doesn't imply anything about productivity. 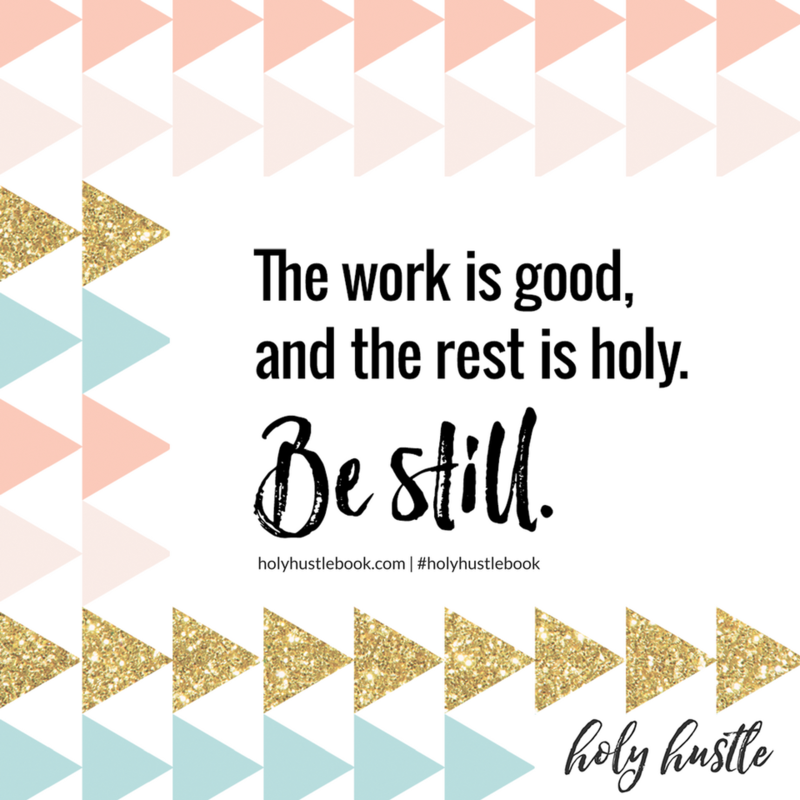 God commands us, "You shall be holy, for I your God am holy." We accurately can define holy as set apart from others by one's attributes or set apart for a purpose; however, more than anything, in Jesus of Nazareth we acknowledge as the ultimate revelation of the Holy God, we recognize holiness as life lived for others (for the neighbor, for all creation) in full communion with God. 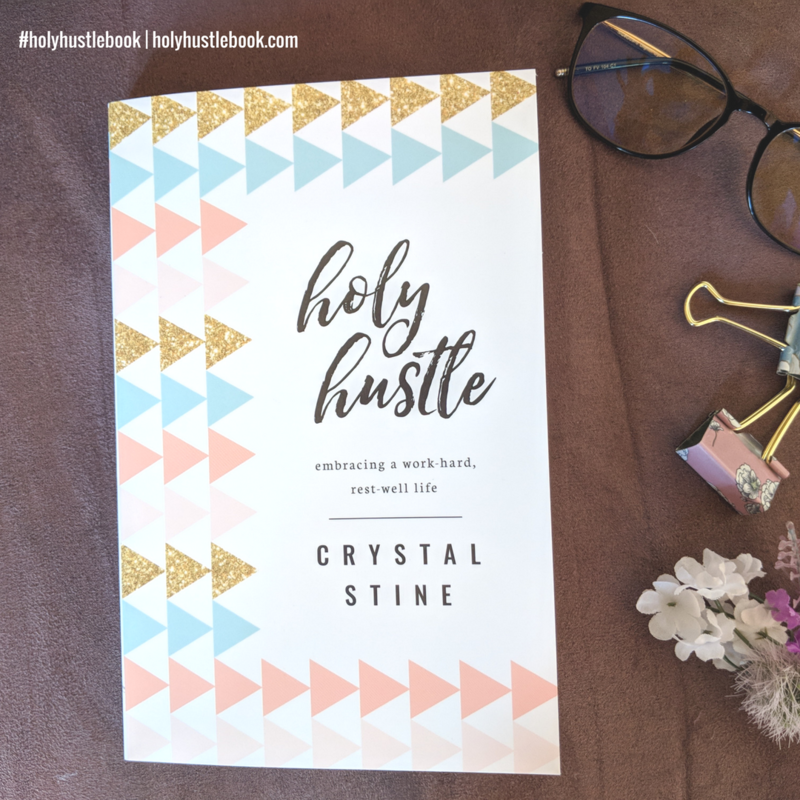 Crystal explains it perfectly on page 161: "Holy hustle means using your light to brighten the lives of others while shining the spotlight on God." 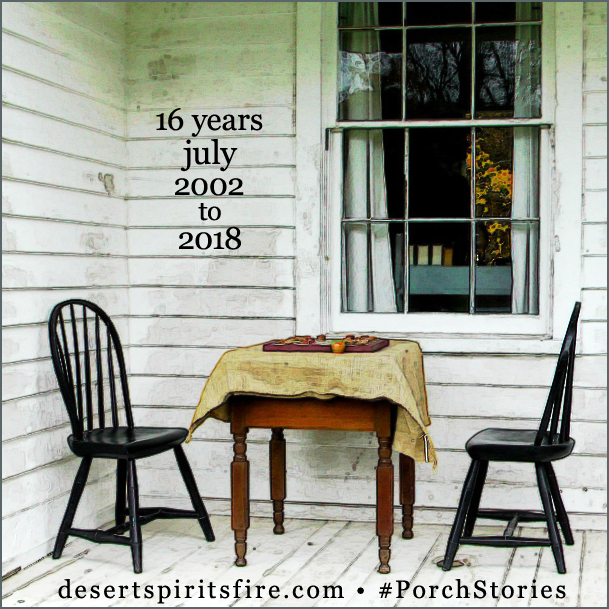 The author sharing her own recent experiences and including hustle-and-rest vignettes from several others gives the book value it might not have if it had originated even during the end of the last century. The times they sure have changed! 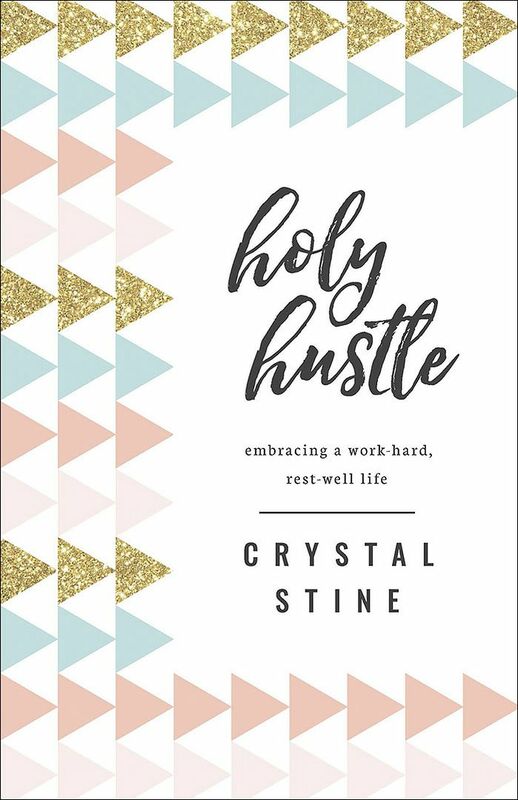 Although with my attempts to reclaim a full life of service to others and participation in the world outside my immediate 'hood I already knew almost everything Crystal wrote, I'll still reread Holy Hustle every so often. 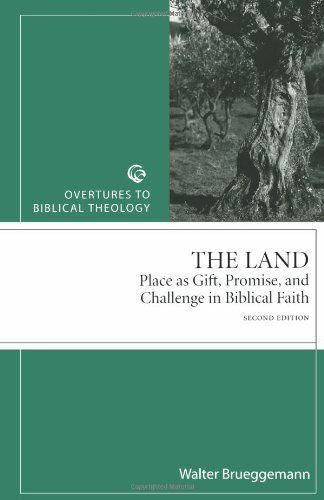 It would be an excellent gift—not in the least because of the appealing cover design. 12Observe the sabbath day and keep it holy, as the Lord your God commanded you. 15Remember that you were a slave in the land of Egypt, and the Lord your God brought you out from there with a mighty hand and an outstretched arm; therefore the Lord your God commanded you to keep the sabbath day. The God who created us in the divine image knows we need work on many levels, knows even when we don't formally work for an expression of empire, we still inevitably have pressures to work well, to produce quality, to answer to our bosses, clients, The General Public. 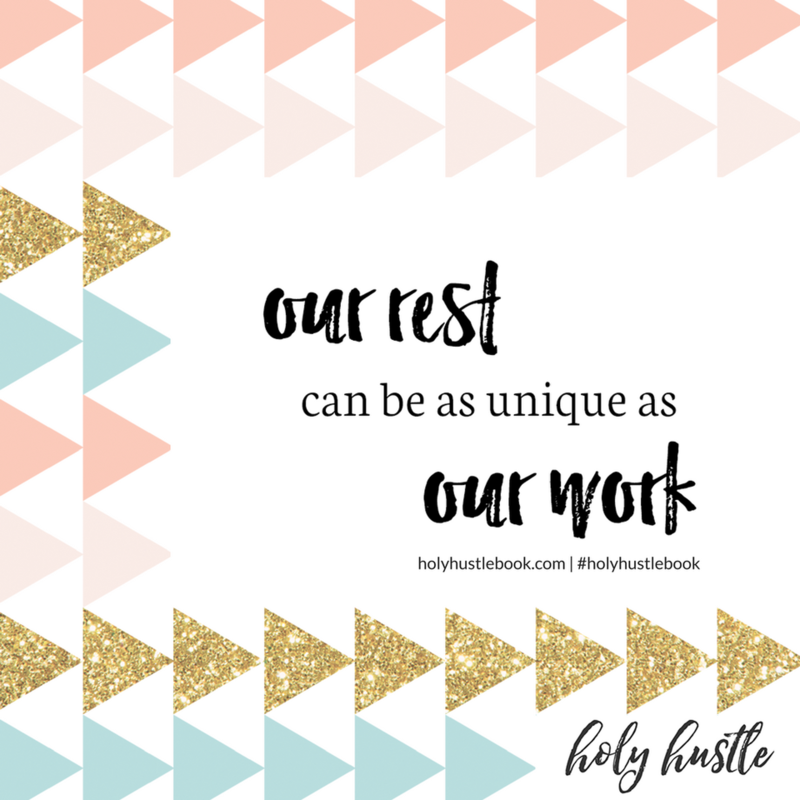 In any situation, everyone needs wholly holy rest. 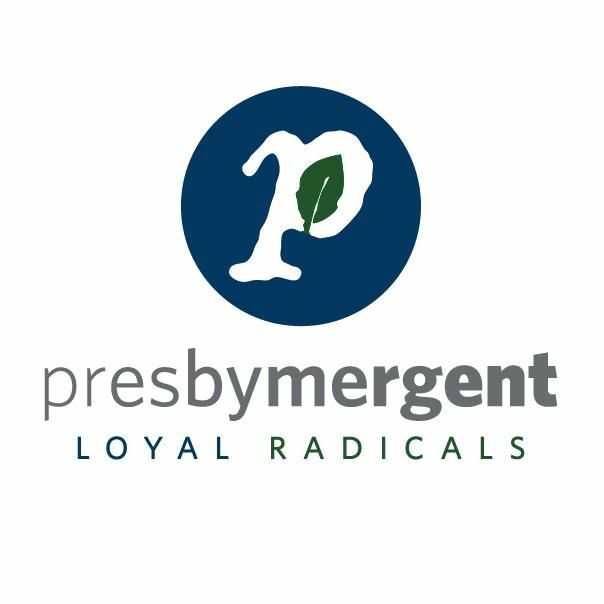 As we labor faithfully to claim that imago dei, some of our work imitates divine creativity, almost all of everyone's work contributes to the realization of God's new creation. 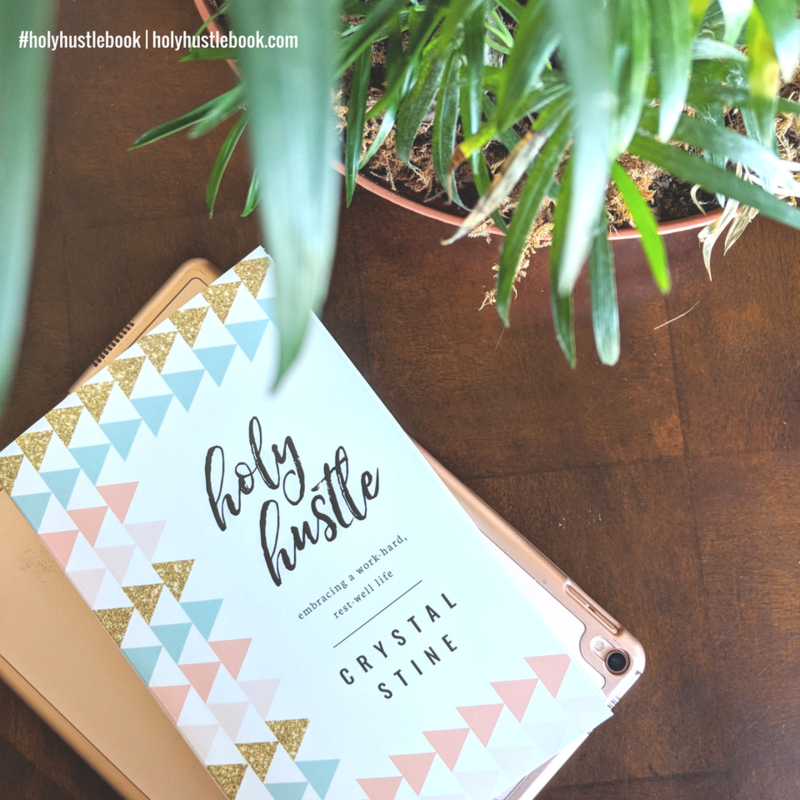 As Crystal makes clear, as we frequently discuss in Sunday School, sometimes our sabbath/rest needs to be at times other than the historical biblical Sabbath day of Saturday or the Lord's Day Sunday many Christians set apart as a day of worship and rest. Notice of material connection: I received a pre-publication copy of this book from the author with no obligation to write a positive review. As always, my opinions are my own.